Craft beer lovers, start your livers: GABF tickets on sale! This week is circled on many a craft beer drinker’s calendar – do people still use calendars they can write on? 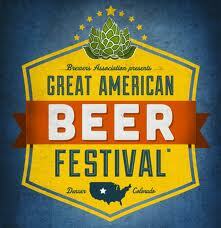 – as tickets go on for the mother of all drinking events, the Great American Beer Festival in Denver. Members of the Brewers Association and the American Homebrewers Association get first crack with a pre-sale beginning at 10 a.m. MT today. If you aren’t a member, it’s too late to join and be eligible for the pre-sale. But you can still join, of course. The general public sales open at 10 a.m. MT Thursday. Here’s a link to the all you need to know about getting your hands on them. The event runs from Oct. 11-13, later in the fall than most years, and includes four sessions. The growing popularity of the event has generated debate about whether change is needed, either in the volume of tickets sold, venue, the number of sessions or number of days. Late last year, BA president Charlie Papazian said organizers are inclined to keep things generally as they are while trying to focus on the quality of the experience and not numbers.